February definitely felt like a lull to me. 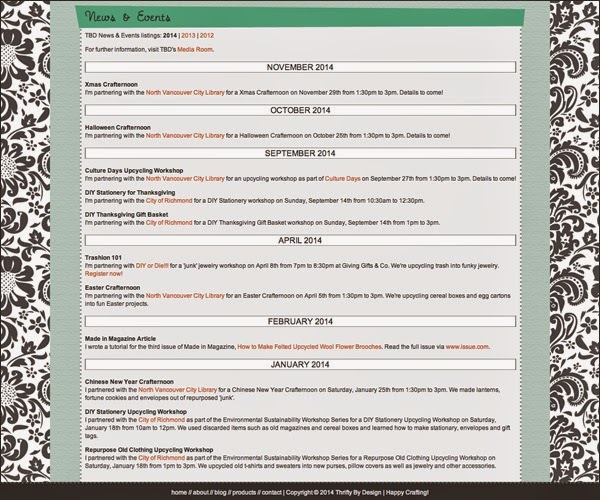 January was busy and fabulous with crafty, upcycling, Crafternoon goodness and then things just stalled in February. But March - I'm liking you. A lot. I'm putting myself out there for new adventures. And you win some and well you also lose some. I applied to be part of a recycled art show at the CityScape Community Art Space. What I do is not necessarily 'art' but I make things out of 'junk'. If I had time I would have made something crazy for the application but I do actually have a couple of 'real' jobs that tend to take up most of my time. So I did not get in. And now I'm on to other fish to fry. 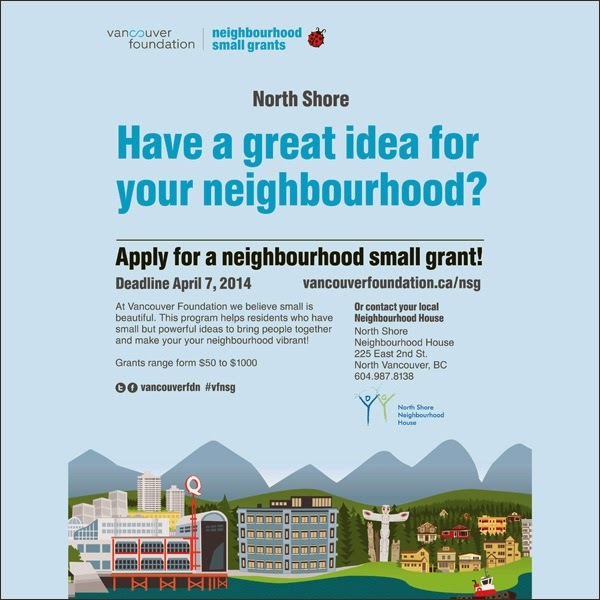 Watch the Neighbourhood Small Grants 2013 Program Highlights video for more info. Maybe apply for a grant in your neighbourhood. Sharing is caring! I also submitted a couple of upcycling workshop ideas for the fourth annual Vancouver Mini Maker Faire. 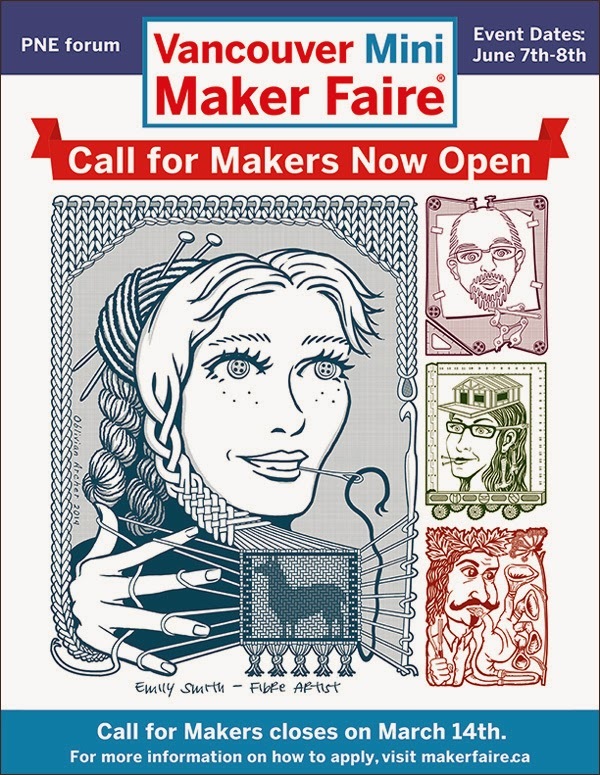 The call for makers is closed but be sure to drop by the Vancouver Mini Maker Faire on June 7th or 8th at the PNE forum. Should be a nifty time! And then I even found a store I want to sell my stuff in. I've been looking into options since I seem to be cranking out the crafty goodness these days and there are only so many wine cork earrings you can give to friends! I love this place... It's a beautiful store in Gastown filled with locally made crafts. 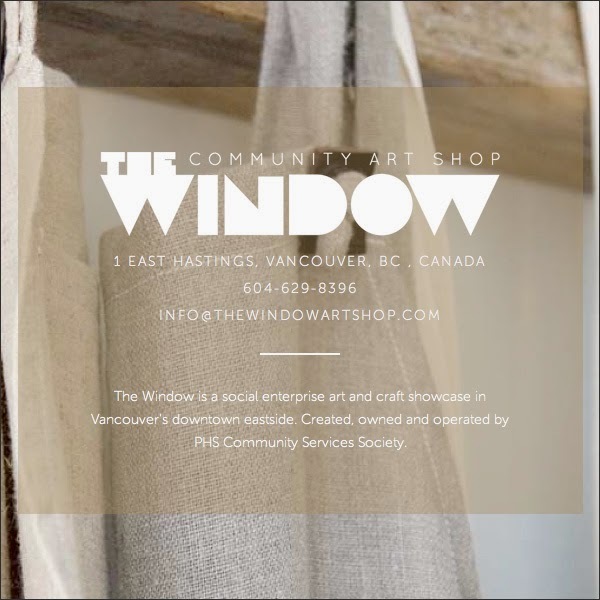 The Window Community Art Shop is a social enterprise art and craft showcase in Vancouver's downtown eastside. It's created, owned and operated by PHS Community Services Society, a public health, housing, and community-building non-profit operating in Vancouver's downtown eastside. The Window also organizes workshops helping people learn marketable skills. I love the idea of connecting people, community-building and social enterprise. Seems like a great fit! And finally I added some upcoming Crafternoons to my Thrifty By Design website. Things are filling up! And so March has been glorious! Lots of possibility for craftiness, for making things happen and for making a difference. Life is pretty darn awesome!